Sewing had been on my ‘to-do’ list every since I remember. I used to see my aunts and grannies making cute little dresses and I wished I could be so creative. When I discovered the joys of knitting, it took precedence over sewing and the latter was ignored. It sat in the corner and sulked until I decided to do something about it. I finally went ahead and bought a sewing machine. Research, analysis, feedback gathering from friends had all been done long back, so when I had to finally buy a machine, it was an easy decision. 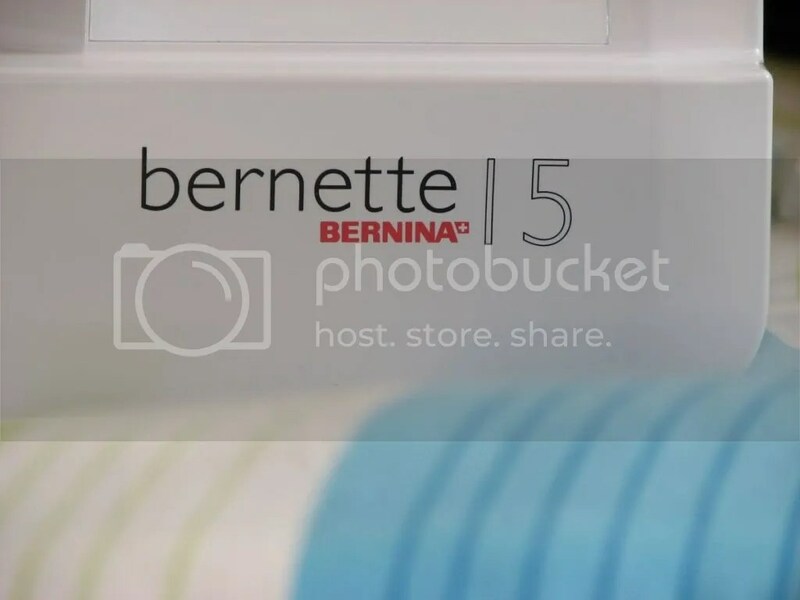 Meet my new toy, the Bernette Bernina 15. She is sleek and lovely. Easy to handle, easy to use and throws no tantrums. With little guidance from the shop guy, I have managed to use this beauty for a small project. I know it’s not a big project, but I am mighty proud that I could even make this. I used up some scraps from my meagre fabric stash (which I plan to expand soon). Even though my cuts are uneven and seams are wonky, I am happy how it turned out. 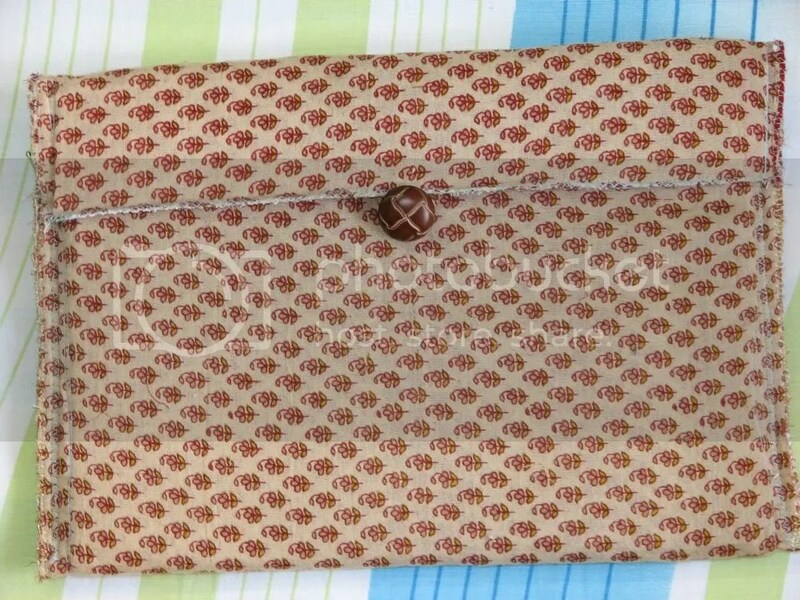 This is a gift for Mom to keep her Galaxy Tab safe and sound and she was very pleased with it. My husband is showing great interest in sewing and he already made a PJ for my son. And it turned out great! I have requested him to make me a summer top and he is working on it at the moment, while checking the top 10 embroidery machines for myself. I am sure this one will turn out great too. Have you picked up a new hobby recently? Now that I have a sewing machine, I am hunting for sewing tutorials and blogs. I am surprised to see so many knitters are also into sewing. I saw a sewing pattern from Ysolda and I just couldn’t believe it. It’s nice to see many familiar knitting names pop in the sewing world too. I’ll have to keep an eye out, I could do with some more sewing inspiration! I keep buying dresses I know I could make, just out of sheer laziness! I’ve played around with sewing now and then. FYI – polyester fleece is incredibly forgiving to sew, a great beginner fabric! Polyester fleece? Let me check if I get it locally. I’m so jealous of your new sewing machine! I have one from 30 years ago, but I can’t justify a new machine as I just learned to weave in the fall, and weaving has lots of equipment/tools to buy. Love your new Aviva pattern. Weaving has been a temptation for me too. I drool over the beautiful looms, but the temptation hasn’t turned into a hobby yet. Thanks for the compliment. I am quite of proud of Aviva myself. Oh, it looks like we’re on the same track, craft wise!! I bought a sewing machine last month and sewed a few pillowcases and cushion covers. Nothing as ambitious and amazing as your first project!! Are those zig zag seams?? Much to my husband’s dismay, my fabric stash is growing along with my yarn stash, gulp!! Oh, you too! What a coincidence. Show us photos, lady. Of the machine and the pillow cases. Yep, those are zig zag seams, albeit wonky ones! For once my husband is okay with my stash because he too digs into the fabric stash. That looks great! I’d love to learn to sew – I even have my mother’s old sewing machine – but I find knitting takes up all my spare time (even the bits where I should be writing or cleaning my house) so instead, I buy books about sewing and look longingly at other people’s work. Now that I have two hobbies, they keep clashing for my time. I am always in a tussle about whether to knit or sew. Knitting wins most of the time because that is my first love. Congrats on your new toy! your first project is soo nice.I’ve taken out my sewing machine too after a long time.